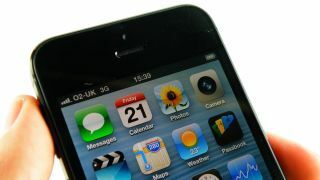 iPhone 5 processor faster in US than UK? The A6 processor in the iPhone 5 apparently clocks at 1.3GHz, not 1GHz as was originally thought. If you've been lucky enough to get your hands on an iPhone 5 you'll know that it's a smooth operator, no doubt thanks in part to Apple's own dual-core processor housed inside. Primate Labs reckon the A6 chip actually runs a 1.3GHz, with its updated GeekBench app revealing the increased power packed inside the sixth generation iPhone. Apparently GeekBench previously had trouble determining the clock speed of the iPhone 5 processor, reporting it as 1GHz, but the latest update to the app has put that issue to bed. However when TechRadar installed and ran GeekBench on its UK iPhone 5, we were left with a sour taste in our mouth as apparently our handset, model ID iPhone5,2 only sports a 1.1GHz dual-core processor. The model ID of the American handset is iPhone5,1, so there's definitely something afoot here, although the difference could just be support for different 3G and 4G frequencies. If you've got an iPhone 5 let us know what GeekBench is reporting to you in the comment box below.